Kids love dogs and it is pleasure to see them enjoy with pets. But, sometimes it may be a risky affair as the animal may harm your baby. While, some dog breeds have immensely patience, some can play endlessly and some are naturally protective of children. Therefore, you must be careful while choosing a dog especially, when you are having little children at home. 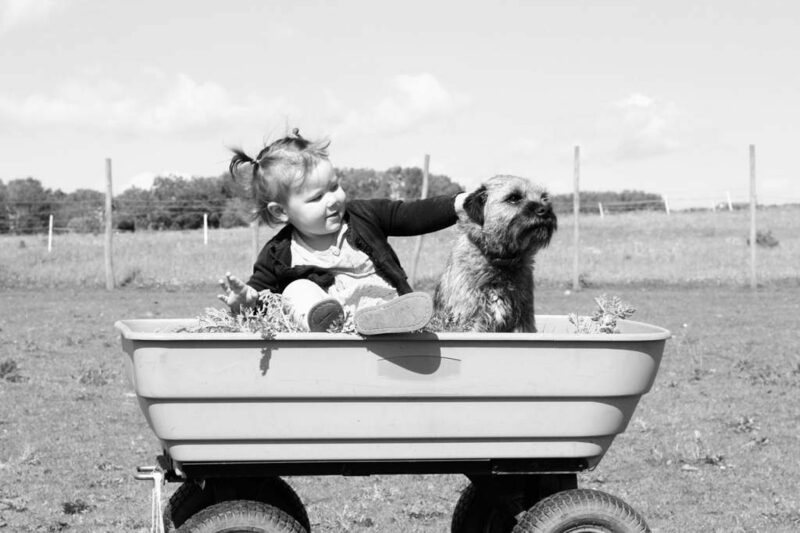 Here is the list of 10 breeds which, are quite friendly and safe for kids. Well known as ‘snoopy’, beagle is small-sized cute breed of dog that are easy to carry. They were originally bred to be hunters and love taking on trails. They’re very friendly with children and never too tired to play games. Mostly has calm temperament and don’t need any special care. Beagles love to be around people and behave well with other dogs. Surly, a great choice for families with kids. Bulldogs are dignified, resolute and friendly dogs. They’re recognized as excellent family pets because they use to form a strong bonds with children. Bulldog’s are easygoing and amiable dogs who, love to spend most of their time snoring on a nice cozy sofa. They can adjust well either in a large house or a small apartment. Bulldog don’t bark too much and in spite of their robust look, they can be trustworthy and nice buddies for kids. This is a wonderful dog for kids. Their gentle, kind, calm and caring nature earns them a nickname – ‘Nature’s Babysitter’. Originally bred in Newfoundland, Canada, they’re social dogs and never cause trouble for strangers (till they are friendly). They are one of the most intelligent breeds and a true task masters. They love children and are very protective of them. Old or young, you’re bond to quickly fall in love with this wonderfully sweet, large dog. The cheerful, pleasant, cute and tiny dog that can be a good choice for children. A great all-around pet that is playful yet gentle. Ideal for apartment living or less active families. Although, they need constant grooming and are a bit stubborn to train but, overall they are peaceful and adorable dogs. Boxers get along well with children and bonds easily with family. They’re people oriented dog breed with immense love for children, who loves playful interaction. Boxers are an energetic, affectionate and like exercising. They’re an excellent dog for child to train and play. Labs are friendly, playful, loving, protective, patience and dependable dogs. This is the reason, what makes them one of the most popular breed of dogs in the world. They’re very active and high-spirit outgoing dogs. They’re extremely intelligent and does great with training. Labs can do anything to please their master. Their versatile nature makes them perfect choice for children. Another popular breed is Dalmatian. They’re large, strong, muscular and athletic dog breed. They have great stamina and energy as they were initially bred to run along with horses. Due to this quality, they can run the whole day long with kids and snuggle with them at night. They can be an incredible addition to the family. This powerful and muscular French breed is loyal and protective, but not aggressive. Also, known as French Mastiff or Bordeaux Mastiff they are calm temperament and responds well to trainings. Dogue’s love to be an integral part of family. They are fearless and good protector against strangers. Hard work and devotion are the words to describe this breed. They are good at every task they do and always prove to be devoted companions to men. Neither aggressive nor timid, they’re extremely patient. Their strength, smartness, playfulness, kindness and commitment make them a perfect fit for kids. Last but not the least mutts are mixed breed dogs and are available in all sizes, shapes, colors, and patterns. They are great family dogs, their loyalty, warmth and deep desire to please, makes them suitable for any family. They can be easily found at your local animal shelter. Picking an orphan dog and saving him from a bad situation is a caring and humanitarian act. It’s a perfect way to teach your kids about kindness and responsibility of having a pet. Your style is unique compared to other folks I have read stuff from. Thanks for posting when you’ve got the opportunity, Guess I will just book mark this blog.